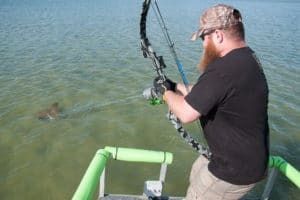 At the urging of a Freedom Alliance donor, and through their various connections, we recently had the pleasure of introducing a new sport to three combat veterans: stingray bowfishing. The overpopulation of stingrays in the Chesapeake Bay waters is unfavorably affecting the local oyster, crab, and shrimp trades. Consequently, the law encourages watermen to help out by placing no limit on how many stingrays can be taken. Jimmy Meadows competes professionally in bowfishing events and worked with Freedom Alliance years ago to offer a sporting retreat for veterans. 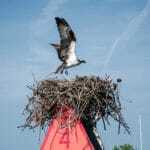 He agreed to take us out from Gwynn Island, on Virginia’s Middle Peninsula, on a boat designed specifically for this sport, which combines archery and fishing. 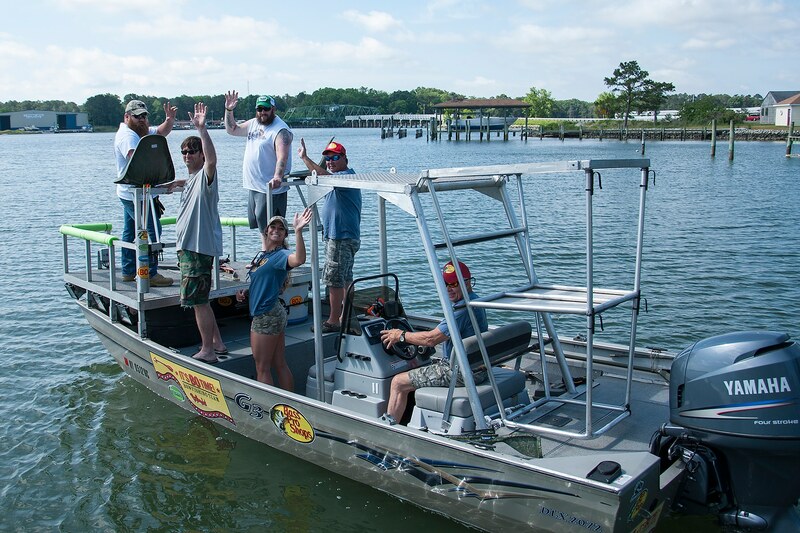 Jimmy brought his partners, who make up the BoTime Bowfishing team, sponsored by Bojangles and Bass Pro Shops. Joe Powroznick and his daughter Meredith instructed our servicemen in safety and strategy, and demonstrataed how to use the unique equipment—bows with reels attached and lines capped by arrows instead of hooks. We created this event specially for Adam from Lancaster, Pennsylvania, who is medically retired after two deployments to Iraq. This fun-loving soldier helped us organize the expedition, and he couldn’t wait to try his hand at the new sport. We also invited Mike, an Air Force veteran of 11 years and an Army soldier of seven years. On his fourth tour of duty in Iraq, he was shot in the face by an enemy sniper. We wanted to honor his service and celebrate his life by including him in our crew. 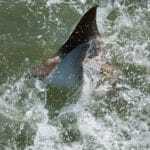 Despite their encumbrances, Adam and Mike took to the challenge of bowfishing, and the men reeled in eight stingrays on that first day on the water. Using the bow while shooting a moving target (all while on a moving platform) seemed like a stretch, but our guys figured it out pretty quickly. The next day began with a hearty breakfast at the marina, and we brought on board Army veteran Jason, who was wounded by an explosive while serving in Ramadi. On this day, the crew took 12 rays, all while having a mighty good time. 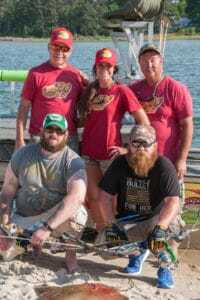 Jimmy, Joe, and Meredith would like to host these three again next year, and we suspect stingray bowfishing might be a big hit with service members!